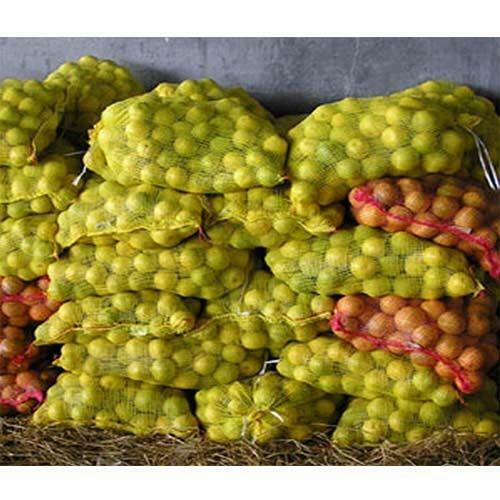 Offered by us is a qualitative range of Fruit Packing Leno Bagsto the valued patrons. Manufactured by making use of qualitative raw material, this range is an excellent re-usable bag that has excellent washability characteristics. In addition to this, our range is available in a wide gamut of attractive colors, sizes and grades that can be availed from us at market leading prices. Moreover, this range is used for packaging of onions, potatoes, garlic, ground nuts, fruits & vegetables and others. We, Kamal Polypack established in the year 2008, and manufacture and supply the best array of Woven Bags & Fabrics. In this domain, we are serving large array of products including PP Woven Bags, Woven Bags and PP Woven Sacks. The raw material for the manufacturing of products is supplied to us by the reputed vendors of domain that hold years of experience in the domain. In addition to, we take the help of industry experts and procure our range by using latest machinery & tools, which are available at our high-tech infrastructural base. From over many years, we are known to provide excellent grade facilities in the market of bags and fabrics. Our client base is spread across the nation, which is all due to our unmatched quality products & transparent business dealings. In the market of non woven & woven bags we have achieved a special place by providing precisely designed array of products within the budget limit price ranges. Our clients are important to us and we take care of their needs & requirements in the best possible way. This is the reason; we have arranged best facilities at our production house. In addition to, with all these facilities we have become the preferred choice of our customers based all across the nation. The entire range is preferred for its features like customized designing, fabric quality and authentic colors & texture.